If you’re anything like me, you probably have first-book-series syndrome. Where you read the first book (or first couple) of a series, really like it then forget about it completely because there are so many new and shiny books out there (otherwise known as bight-shiny-new or BSN disease). 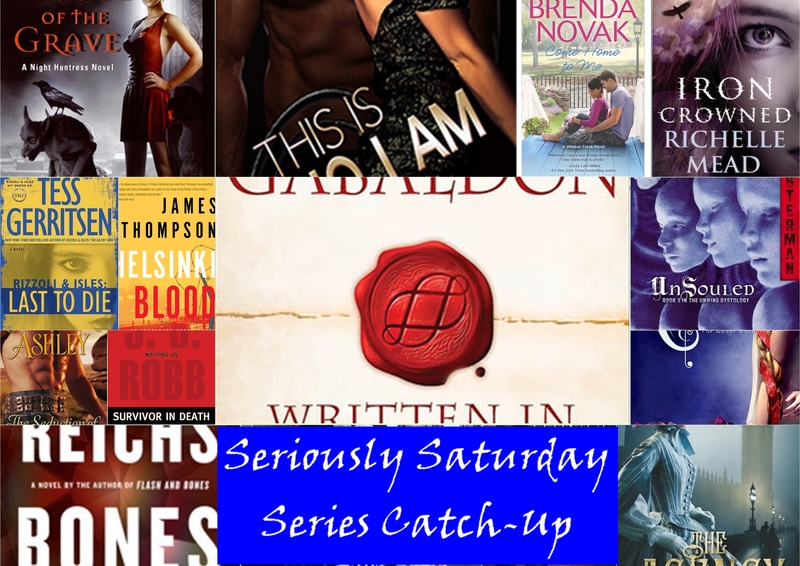 That’s why Cassi from Galavanting Girl and I teamed up to do a series challenge, the Seriously Saturday Series Catch-Up. And you are more than welcome to join us! Just pick which series you want to catch up on, make a goal and post how you’re doing once a month. Create a list of series you want to complete during 2014. Share it on your blog, then join us the first Saturday of the month as we share about our successes (or failures) in this series finishing adventure. That gives me a grand total of 29 books that I’m aiming for in 2014. I was conflicted going into my listen of this. It is one of the few audiobooks that I have started and then got distracted before continuing (mostly because I had a bad case of BSN disease – bright shiny new). So when I went back to the Silent Girl, I wasn’t sure what my overall opinion of it was going to be. Added to that, I had read a blog post by the author (or something on her website) where she talked about complaints from readers about this being similar to The Girl with the Dragon Tattoo (which I loved)…but it took me a long while to figure out the similarities – so to me it wasn’t that obvious. 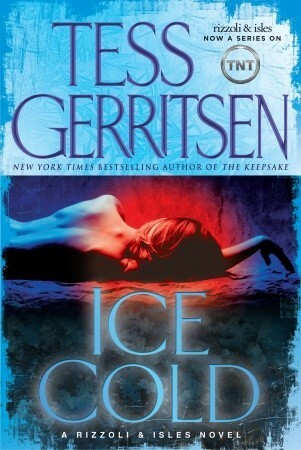 This is one of the books in the series that I really struggled about how I felt – I did like the mystery and the solving of the crime – but it hasn’t had the same relationship between Jane and Maura that was so prevalent in previous books – which was part of the reason why I enjoyed the series. And it wasn’t similar to Ice Cold, the previous book in the series, where Jane and Maura were literally cross-country from each other – this time it was a matter of personalities, beliefs, job roles…I admire Maura for standing by her beliefs – she is definately no shades of grey kind of person – it is either right or wrong – this is one of the first times that I have been disappointed in Jane as a character – I guess after 8 books, I expected more of her (lol – I can’t believe I am talking like she is a real character). The mystery was fulfilling – I had my normal jumping back and forth trying to figure out who did it and who “The Silent Girl” really was – it wasn’t who I thought that it was originally. I did figure it out maybe about 2/3’s of the way through. I’ll be interested to see if any of these characters make an appearance in later books – I was sufficiently intrigued by the character development. PECCAVIThe Latin word is scrawled in blood at the scene of a young woman’s brutal murder: I HAVE SINNED. It’s a chilling Christmas greeting for Boston medical examiner Maura Isles and Detective Jane Rizzoli, who swiftly link the victim to controversial celebrity psychiatrist Joyce O’Donnell–Jane’s professional nemesis and member of a sinister cabal called the Mephisto Club. This past year, I have read or listened to all of the books in the Rizzoli & Isles series up to this point. 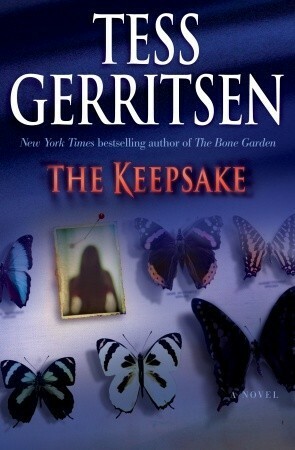 In each and every one of them Gerritsen has taken the reader/listener for a ride. Sometimes I can figure out who the killer is ahead of times and sometimes not. 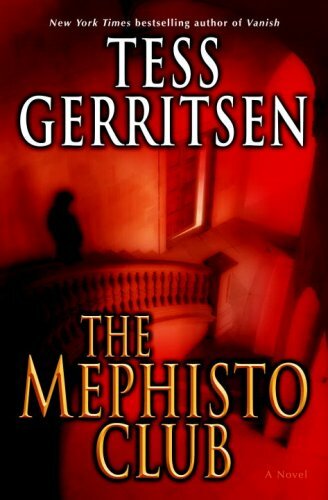 While I enjoyed the Mephisto Club, I didn’t love it as much as I had previous books. Maybe it was the use of religious symbology and demons, maybe it was something else. I can’t quite put my fingers on it. It was good, don’t get me wrong, just not great…I did figure out early on that it was one of the members of the club that was responsible for the crimes being committed, but the original person who I thought it was, it definately wasn’t (mostly because he was killed early on…) – I also wasn’t surprised to see the psychiatrist Joyce O’Donnell killed in this installment – she had appeared in several of the previous books, but her character always just seemed to be on the periphery to annoy Jane and Maura and not really contribute. I did enjoy the character of Anthony and hope that he shows up in later books. When it came to the narration of the audiobook, I was glad to see Kathe Mazur return to being the narrator – although, I believe that this is the last time in the series that she is the one (unfortunately). After Anna Fields, she definately has developed Jane’s voice into one that reflects her Boston Irish character, as well as Maura’s dark wit. Her diversity of character voices makes for an entertaining listen and I didn’t manage to confuse any of the characters – they all appeared to be individuals and it was almost like I was listening to a couple of different people narrate the book. I do know that I need to check her out narrating some other books to see how she does. I’m definately going to be following her as a narrator in the future. Every once in a while a book comes along that touches on a significant topic and as a reader you are just blown away by not only the events that transpire, but that the fact that events like this happen in world. For me, Vanish, is just one of those books. In the past eight years since I have been in the military, every year I had had to complete a mandatory training called Trafficking in Persons – but like with most of the required trainings, I didn’t really take it seriously, clicked through the slides, in order to get the check in the box for having completed it. Now, looking back on that and after reading Vanish, I’m amazed by my ignorance of such a topic. The book begins with the line, My name is Mila and this is my story and told in Gerritsen’s normal alternating perspective between Boston Homicide Detective Jane Rizzoli and Medical Examiner Maura Isle, as well as the perspective of Mila. There were times I was on the edge of my seat waiting to hear what happened and I didn’t want to stop listening to the book (unfortunately, since I was doing it on my commute to and from work I had to). The only thing holding me back from giving this a 5-star rating is the fact that I don’t know if I could see myself re-reading it in the future and those are the books I tend to give 5-stars to. Not because it wasn’t well-written, but because it was so disturbing. So far I have listened to four books in this series, and gone through 3 different narrators. In this one, Susan Denaker, took over the reins from Kathe Mazur, who narrated book 4 and did a good job of it. All the voices had good inflection and I think she did a good job with Rizzoli’s Boston Irish accent. I think she did a slightly better job that Mazur with the male voices, and I was able to distinguish each character, but they didn’t quite live up the narration of the first 2 books by Anna Fields. I will however look for more narrations by her in the future. I’ll have to admit, I was a bit worried when I picked up this audiobook to listen to, because I had been spoiled by the awesome narration that is Anna Fields in the previous 2 books, and to switch a narrator, part of the way through a series, I was concerned, but Kathe Mazur did a good job. I won’t say it was great, and I wasn’t necessarily a fan of how some of the male voices turned out, but I think she did a good job on the variety of female ones. Unfortunately, as I looked at the next book in the series, I realized that it once again had a different narrator, so I can’t even see how she develops. That being said, I will potentially be looking for more narrations by her in the future.